Juan Orlando Hernandez has been declared the winner of Sunday’s presidential poll in Honduras. 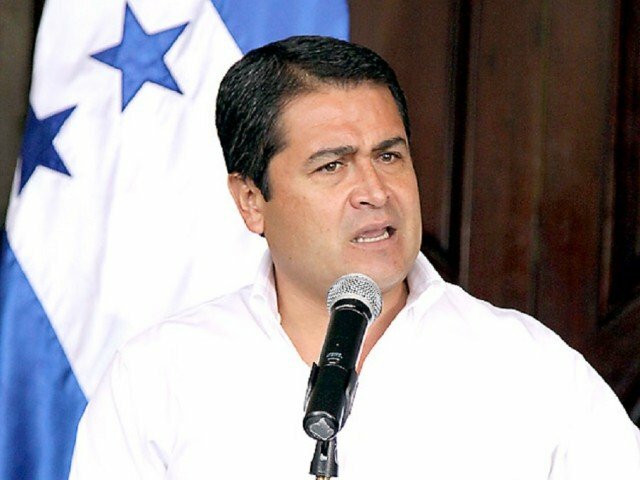 “Today’s figures indicate clearly that the winner of the election is Juan Orlando Hernandez,” said Honduras electoral commission’s president David Matamoros. Conservative Juan Orlando Hernandez has won 35.88% of the vote, according to AFP news agency. His main rival, the left-wing candidate Xiomara Castro, has won 29% with 81.5% of polling stations tallied. David Matamoros earlier said the final result would be known in the next few days, but he called on all candidates to support the new government. Second-placed Xiomara Castro said she was robbed of victory. Xiomara Castro said she would present evidence of fraud. Since Sunday, Xiomara Castro’s Libre party has alleged massive electoral fraud and refused to accept the results. On Tuesday, European Union and Organization of American States observers in Honduras said the voting process had been transparent. Xiomara Castro, the wife of ousted ex-President Manuel Zelaya, had hoped to become the first female president of Honduras. Manuel Zelaya, who was deposed in a coup in 2009, told reporters there were “serious inconsistencies” in up to 400,000 ballots. “We are going to defend our triumph at the ballot box and if necessary will take to the streets,” he said. Students and other Xiomara Castro supporters have already protested over the election results. Around 5.4 million Hondurans were registered to vote in the general election, selecting a new president, members of parliament and local mayors.